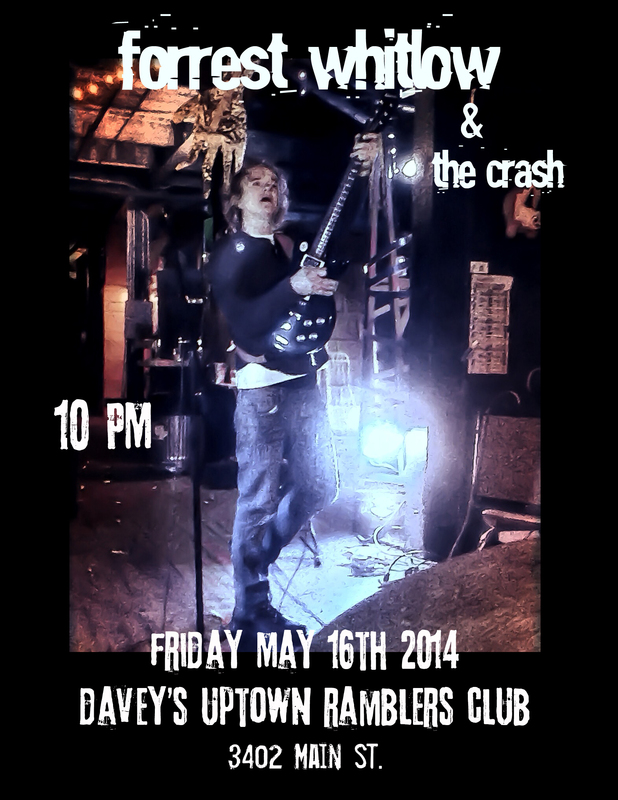 Forrest Whitlow and The Crash take the stage at Davey’s Uptown May 16 ’round 10:30-ish… cover is 6 dollars. The Good Sam’s Club and Rocket Blue Opera also appear. The current lineup of The Crash includes Ron Crisalli on electric lead guitar, John Bersuch on drums, and John Ferguson on bass… as well as me, doin’ what I do. love to see you there. thankee!